Daisies seem to chase the clouds away. So will your fabric art and quilts when you use the GO! Daisy die. It cuts two sizes of daisy petals and two sizes of circles for flower centers. 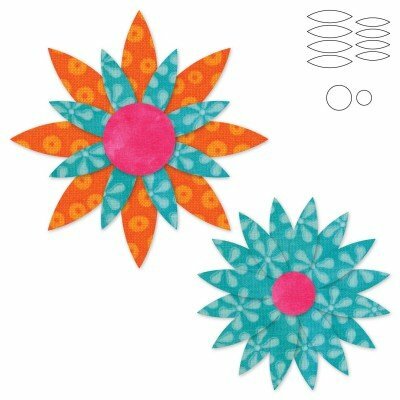 Want to make applique-ready flowers in a flash? Simply apply fusible web to the wrong side of fabric before cutting and you'll have precise daisy shapes. A great way to use up scraps or stash!